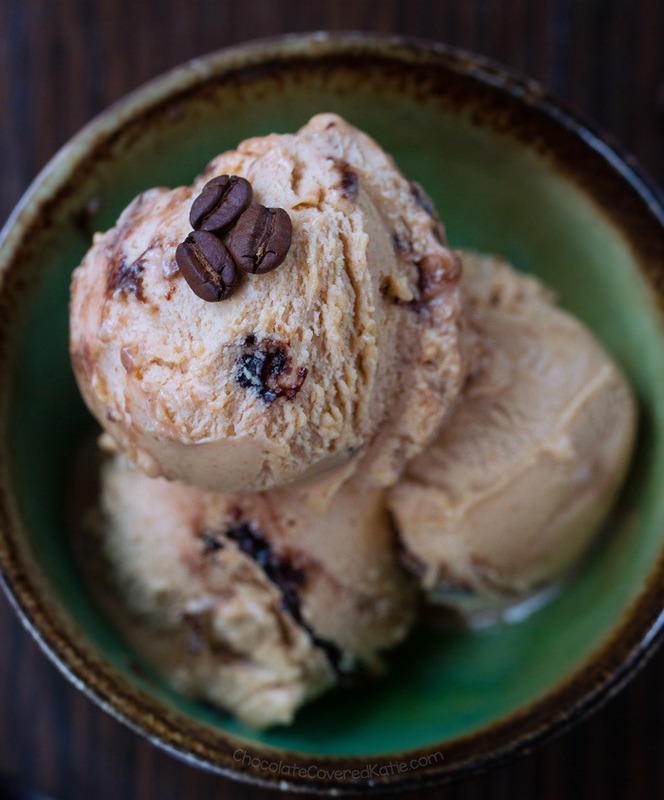 Vegan Coffee Ice Cream - 5 Ingredients! Creamy vegan coffee ice cream, with no eggs, dairy, or added sugar – made in under 5 minutes! When I first went vegan over ten years ago, one of the things I missed most was being able to just go into a grocery store or a shop like Baskin-Robbins and choose from a dizzying array of ice cream flavors. Back then, there was no vegan Haagen Dazs or Breyers, and there was definitely no vegan Ben & Jerry’s. 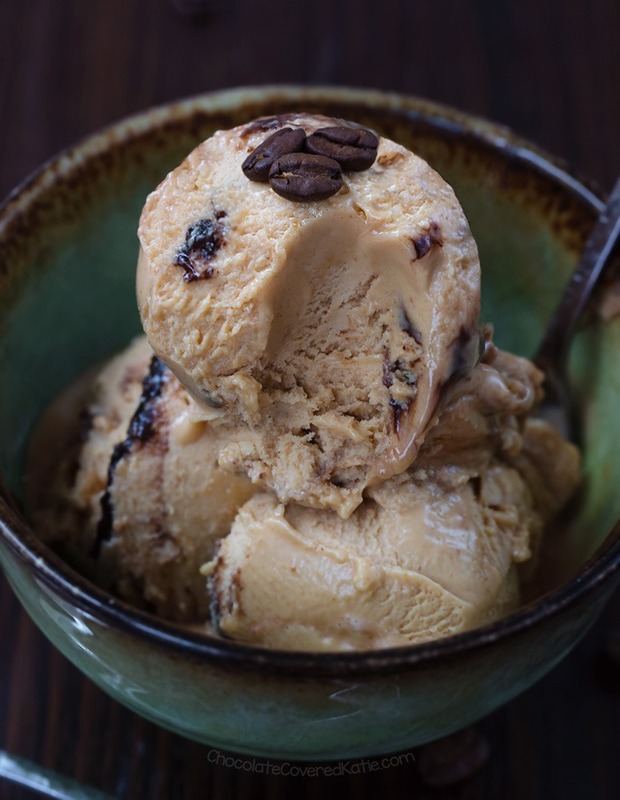 This vegan coffee ice cream can be made with just a few ingredients – no refined sugar, corn syrup, stabilizers, food dyes, or artificial flavors. While the main version is made with banana, I also link to a banana-free option because I know not everyone is a fan of banana ice cream. 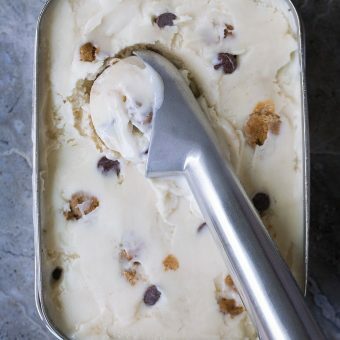 I like to add the optional coconut cream or nut butter for extra richness and to give the final result more of a café latte taste, but you can definitely leave it out for coffee ice cream that is fat-free. 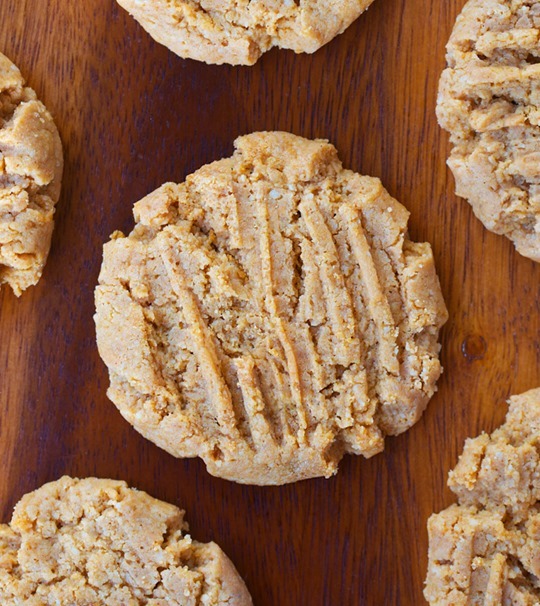 If you want to avoid extra caffeine, go with the just-as-delicious decaf option. My favorite thing about nice cream is how quick it is to make. You can easily whip up multiple flavors, which is especially great if you’re serving a crowd and everyone wants something different. Or if you’re like me and hate making decisions. Nice cream party with coffee, strawberry, and Mint Chocolate Chip Nice Cream. When you finally get a warm and sunny day after what felt like an interminable winter, celebrating with ice cream is pretty much a requirement. *To make mocha coffee nice cream, feel free to blend in a spoonful of cocoa powder. I also opted to stir in homemade hot fudge (stir together equal parts cacao powder and melted coconut oil, sweeten with maple syrup). Be sure to use bananas whose skin is at least halfway brown before you peel, break into pieces, and freeze them, because unripe bananas will give an earthy taste to the nice cream that you don’t want. To make the ice cream, throw the frozen banana pieces (2 large bananas-worth) into a blender with all other ingredients except the chocolate chips. Blend until super smooth. Taste, and add a little sweetener of choice if it’s needed (depending on your tastebuds and the ripeness of your bananas). 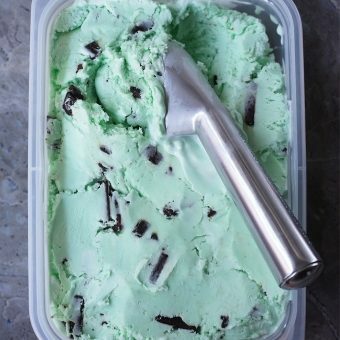 Either serve immediately, or transfer to a container and freeze an additional 30 minutes, then scoop out with an ice cream scoop for authentic presentation. This looks amazing! I don’t know why I haven’t tried any of your ice cream recipes yet but I have a stash of frozen bananas in the freezer right now so that will definitely have to happen soon. My husband loves coffee ice cream, and I do too, but can’t do caffeine. So I’m totally going to try this decaf version! He’s not keen on banana ice cream (or vegan ice cream in general), but he did enjoy your chocolate peanut butter flavor. So maybe this will help win him over 🙂 Is it your hot fudge that makes those ripples and gooeyness? That’s one thing that I must include. Also, I love that you said it was out of necessity that you create your own ice cream 😀 Ice cream definitely is necessary. Yes adding the homemade coconut oil hot fudge takes this (or any) banana ice cream to a whole new level. 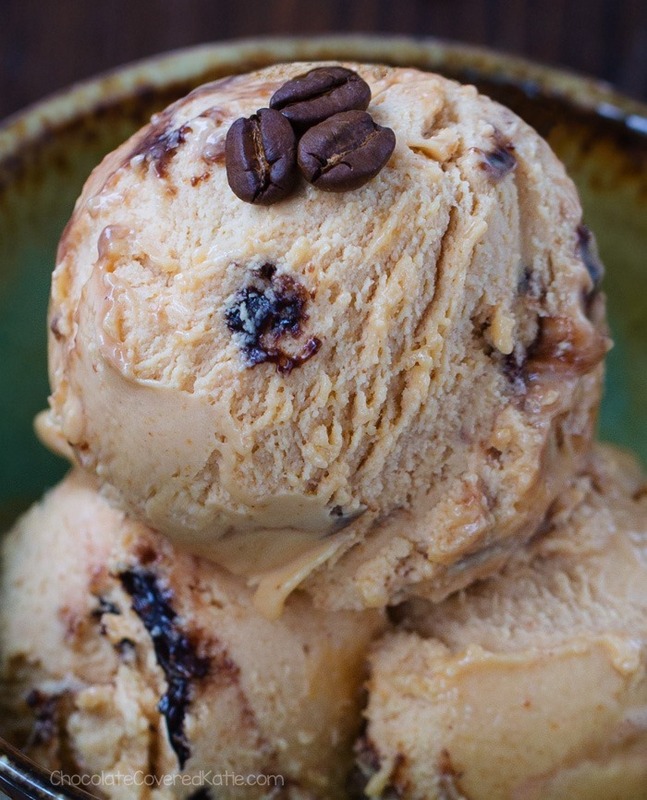 Coffee has always been my favorite ice cream flavor – so glad that you were able to veganize it! I have been on such a nice cream craze this last week! This is the perfect recipe to add to my queue! This made my early Monday morning so happy. 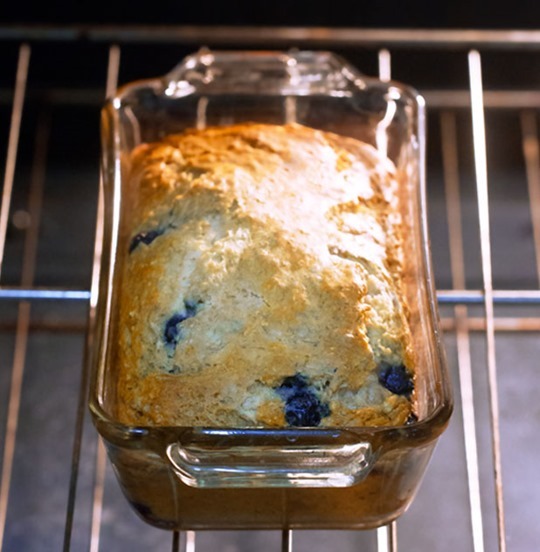 Would love to watch a video of thus to some summer style music… thanks for the recipe. Quick question, com you have an App to purchase? 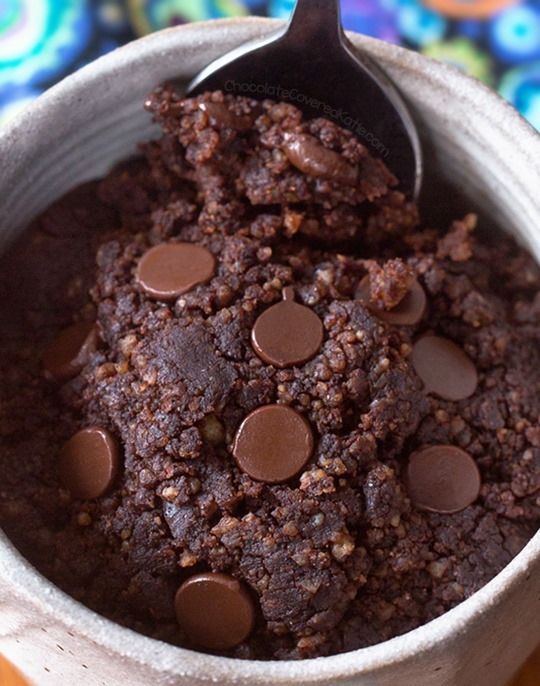 This looks amazing (along with all your other flavors), and I also have a huge stash of bananas in my freezer. I just have one question. Do you have one of those high-powered blenders? Because I still have my trusty, old “regular” blenders, and I could be wrong, but I’m quite sure it won’t handle something this thick. (I usually have to add enough liquid to get it to operate for smoothies, etc.) And if so, do you think I can just transfer this to either a food processor or even my KitchenAid mixer and get the same results? I’ve made banana ice cream in a regular blender and I know Katie has used a food processor before. It can be done! You might need to add a little liquid sometimes, but as long as the banana pieces are small enough (and you use enough bananas so it has enough to process) I don’t always need to add any. Nice cream is heavenly, but instead of blending it, I use a Yonanas machine that works amazingly. I have to start making nice cream again though! Cacao powder, peanut butter powder, spirulina, cinnamon, and maca powder are my favorite additions in plain nice cream! Omigod, as soon as I saw the first photo I knew I wanted to make this. Looks amazing! Yummmm! I can’t wait to make this. Coffee is my favorite flavor. Oh my gosh this sounds amazing. Even though I’m not vegan by any means. My children’s love coffee ice cream, and I do too, but can’t add caffeine. So I’m totally going to try this decaf version! They do not like vegan ice cream in general but they did enjoy your chocolate peanut butter flavor. So maybe this will help. Is it your hot fudge that makes those ripples? I love that you said it was out of necessity that you create your own ice cream 😀 Ice cream definitely is a mandatory food in life.